In 2013, the NECC announced the Tees Valley economy was on the rise and they were expecting even better results in 2014. From this, the Big Up Tees Valley event was born – to celebrate the fantastic news. Accountancy firm Evolution LLP, founder of Big Up Tees Valley, has been a client of ours for several years now. We were approached by Martin Barber, Evolution LLP’s Managing Director and Emily Bentley, Evolution LLP’s Marketing and Business Development Manager, in December 2013 to discuss the idea of Big Up Tees Valley. Big Up Tees Valley was held on June 12th 2014 – just after the NECC announced its quarterly economic briefing. We gave ourselves the time-scale of just over three months to achieve Evolution LLP’s above aims. As the event is business focused, we decided to launch Twitter and LinkedIn accounts, opposed to Facebook. Twitter and LinkedIn are great platforms to interact with and engage business professionals. To create a real buzz on Twitter, we launched the hashtag #BigUPTV which almost straight away took off. 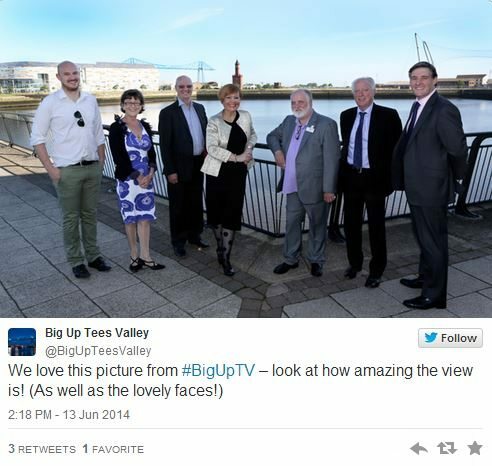 We did this by encouraging tweeps to ‘big up’ Tees Valley using the hashtag – people were more than happy to oblige. We also launched #Big UpTVHour. 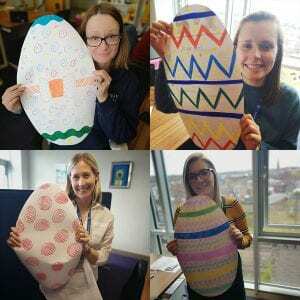 To help make sure participants took part we held the session straight after #TeesTime (an already established Twitter hour) from 3-4pm every Wednesday. This hour continues to be a success. We signed-up most of the Big Up Tees Valley attendees through the social media campaign – in fact, it was so great we sold out (150 tickets) AND had a waiting list! If we wanted the event to be a regional triumph we needed to generate some PR coverage in local press – both pre and post event. As well as social media and PR management, it was important we managed the event invitations and attendees – a great way for us to monitor the progression of our targets. We used the online tool Eventbrite to do this. Here we could observe the job titles and companies of the attendees. Emily Bentley: “The campaign was a huge success and the event was a sell-out with a waiting list of delegates wishing to attend. The social media account traffic generated was phenomenal and the depth and breadth of penetration in terms of new contacts and getting the word out went far beyond expectation. As the Big Up Tees Valley campaign was such a success, we are continuing its social media and it’s looking likely the event will now become annual.